Are you wondering which are Ronald Reagan Accomplishments? 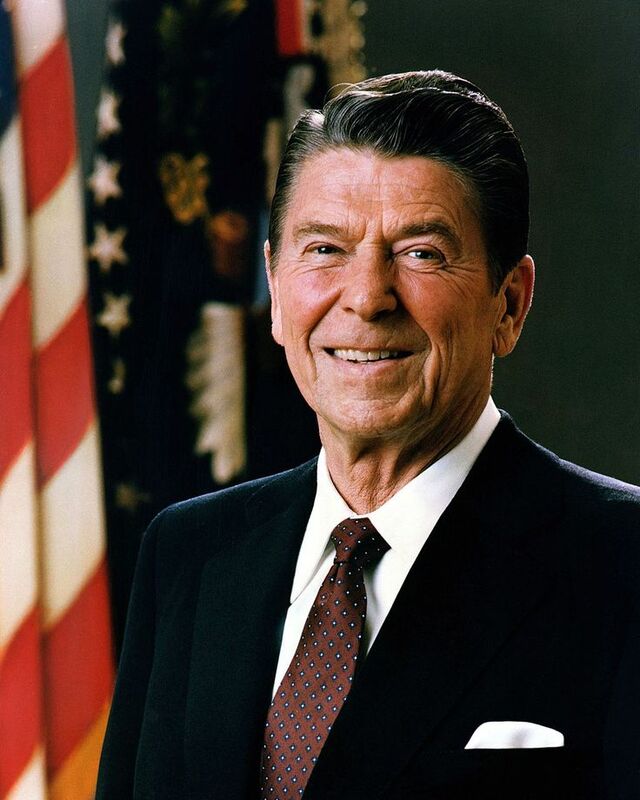 Ronald Reagan is the 40th President of the United States and he served as the 33rd Governor of California as well. When he became a President, the U.S. economy wasn’t the best, in fact it was dealing with serious unemployment rates and high inflation, while the relations with the Soviet Union were unstable too. With his reforms and campaigns, President Reagan managed to improve the economy and to move things forward to the end of the Cold War. Although some of his strategies were seen as controversial, it’s is still true that Reagan was very influential politician at the time who did a lot for his country. Read below to find more about his accomplishments. In 1980 Ronald Reagan ran for President against his Democratic opponent, the President Jimmy Carter. 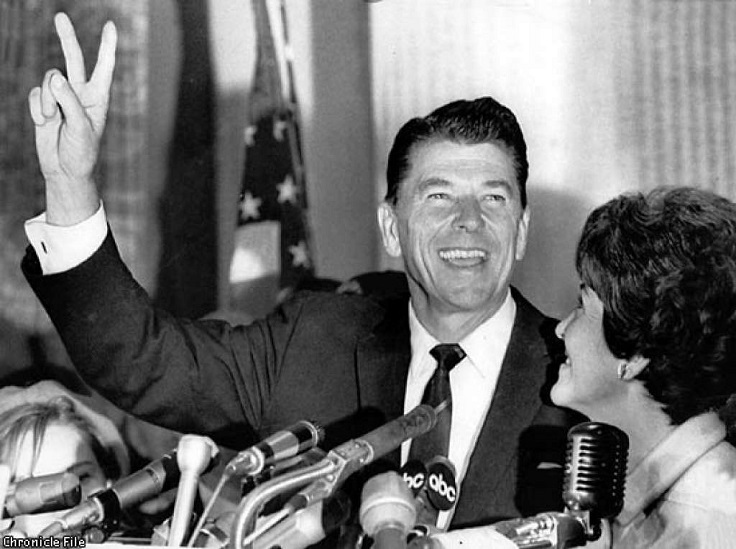 Reagan won by receiving the highest number of electoral votes won by a non-incumbent presidential candidate and became the 40th President of the United States. In 1984, Reagan again won as a presidential candidate with winning in 49 out of 50 states. That year, he also won 525 electoral votes and received 59% of the popular vote, making his victory the largest electoral college victory ever. At the beginning of his career as President, the influence of the Soviet Union was on the rise and Ronald Reagan came up with a rather controversial way of dealing with that influence and the Cold War in general. He developed a strategy known as the Reagan Doctrine and with this one the United States supported the anti-communist forces in Soviet-backed communist governments. This proved to be successful, as the Soviet Union’s influence weakened in few regions and contributed to the ending of the Cold War. Ronald Reagan and the Soviet Premier Mikhail Gorbachev held four summit conference between 1985 and 1988. In 1987 they both signed the Intermediate-Range Nuclear Forces Treaty (INF Treaty), which meant that nuclear and conventional missiles are going to be eliminated – more than 2.000 weapons were destroyed. 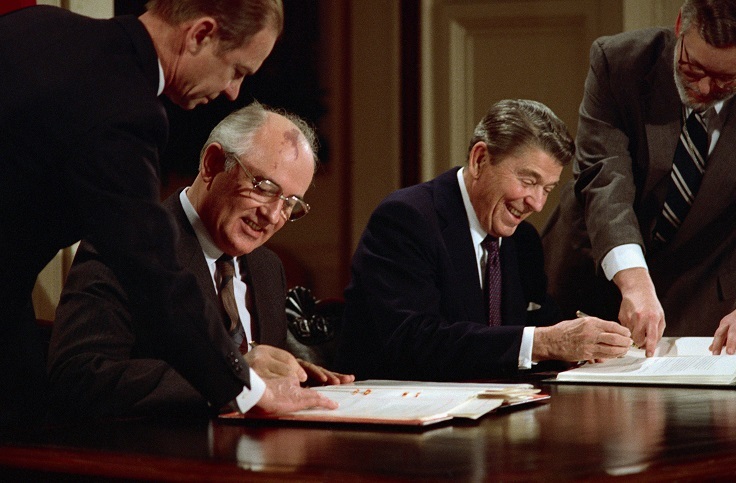 This treaty contributed to the end of the Cold War and made the relations between USA and the Soviet Union less intense. Ronald Reagan served as Governor of California twice, from 1967 until 1975. During his first term, Reagan froze government hiring and gave approval to tax hikes in order to balance the budget, while during his second term, he focused more on the welfare system – his reforms brought California’s budget from deficit to surplus. 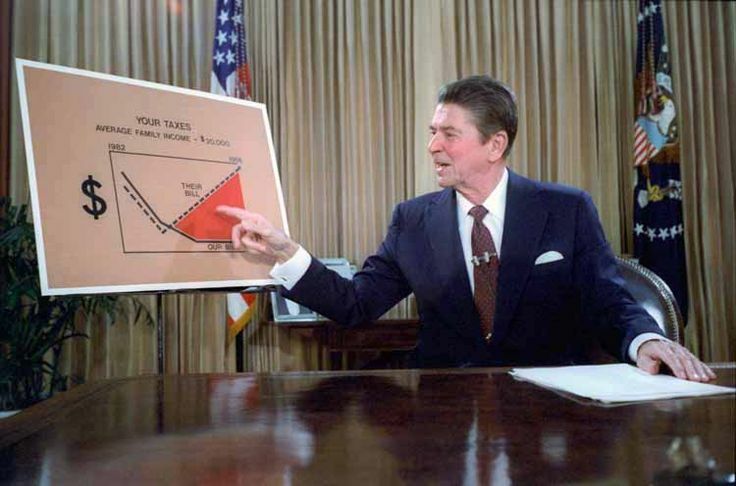 Ronald Reagan came up with Reaganomics, a set of reforms created for improving the economy of the States, which at the time experienced slow economic growth and high unemployment rate. His reforms focused on four principles – he ordered restrained government spending, lower tax rates; he reduced government regulation and tightening of the money supply as well. 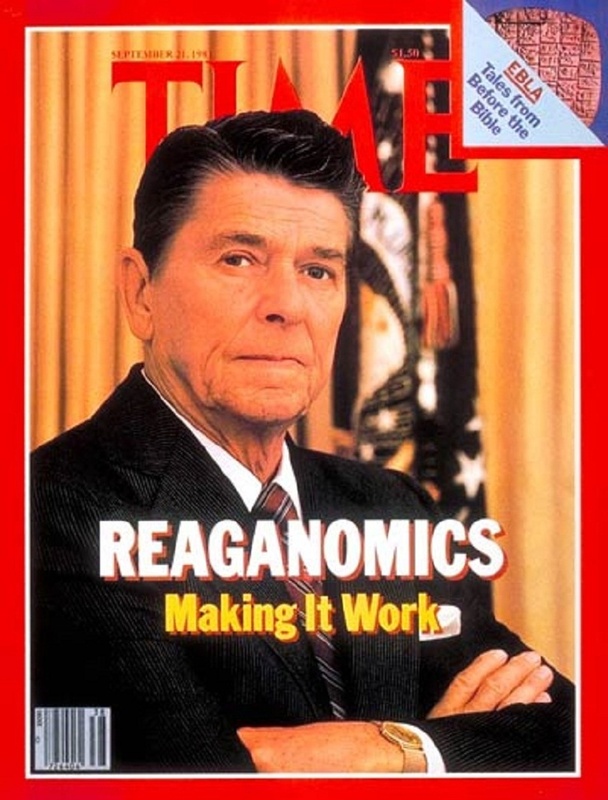 His Reaganomics proved to be very successful, considering the fact that the unemployment rate fell from 7.1% to 5.5%. With the Reaganomics, the whole economy was improved in general, and Reagan got the greatest improvement record since President Harry Truman. The GDP growth went from -0.3% to 4.1% during his career and that’s not the only successful thing Reagan achieved. He made two records – the first one being the fact that from 1980 until shortly after he left, there were more than 18 million jobs created and second, the amount of wealth produced during these years was estimated at $30 trillion. 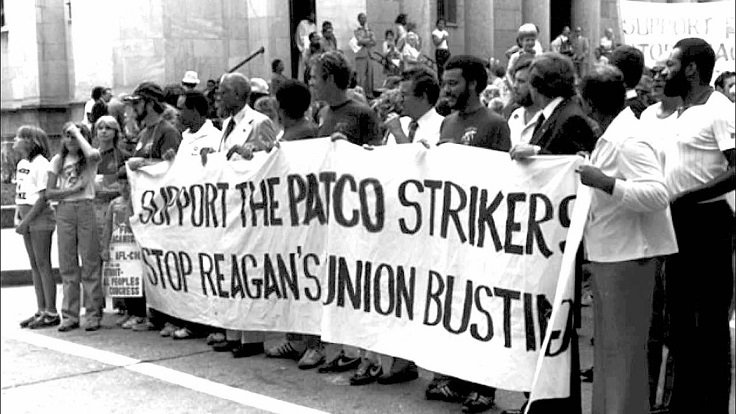 In 1981 the Professional Air Traffic Controllers Organization (PATCO) declared a strike, seeking better working conditions which included 32 – hour workweek, however this was wrong because of two reasons. The first one was that the strike violated the federal law with which government unions aren’t allowed to strike and second, it had natural security implications. Reagan told the 13.000 air traffic controllers to return to work in 48 hours or they;re going to lose their job. Only 1,300 came and the rest were really fired. 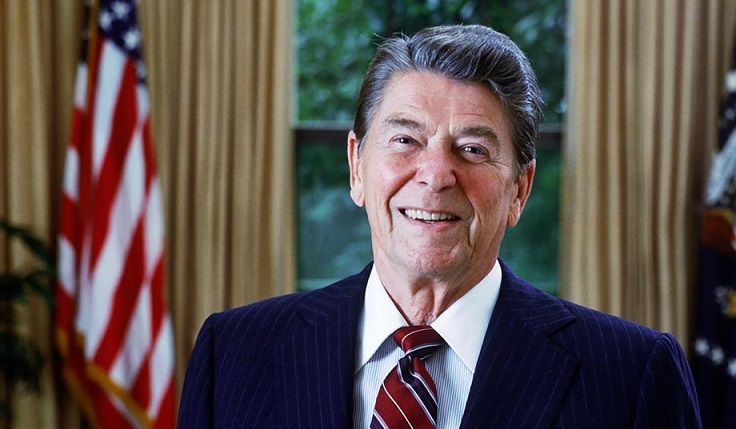 Although controversial, this Reagan’s decision stopped future illegal strikes against the federal government. 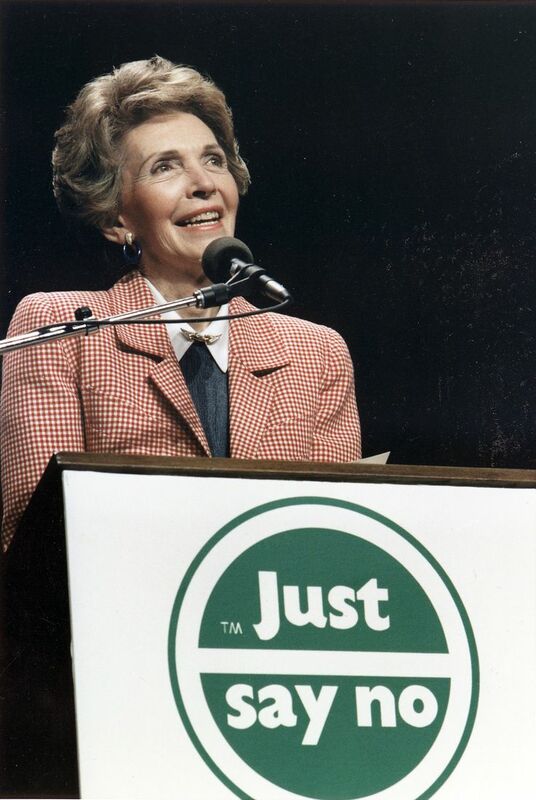 Ronald Reagan together with his wife, the First Lady Nancy Reagan lead anti – drug campaign during his time as President. They believed that the drugs are a threat to the society, especially to children and teenagers, so they came up with the ‘Just Say No’ campaign. In 1986 Reagan signed the Anti-Drug Abuse Act which budgeted the War of Drugs with $1.7 billion. He also included stronger law enforcement with mandatory minimum sentencing. 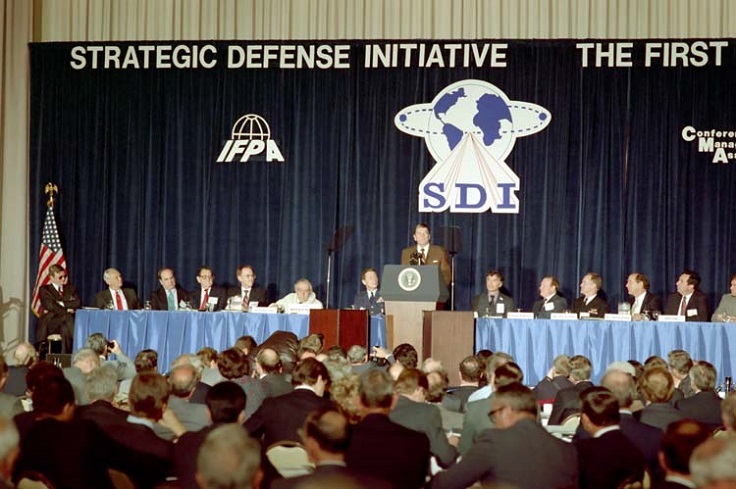 Ronald Reagan created the Strategic Defense Initiative (SDI), which many found it to be controversial. According to Reagan, it was better “to save lives than to avenge them”, so with his strategy he aimed to protect the States from nuclear weapons by interception and destruction of attacking missiles. Some believed that this is a way of starting an economic war with the Soviet Union, however it was for sure that it gave the States advantage in the field of missile defense. 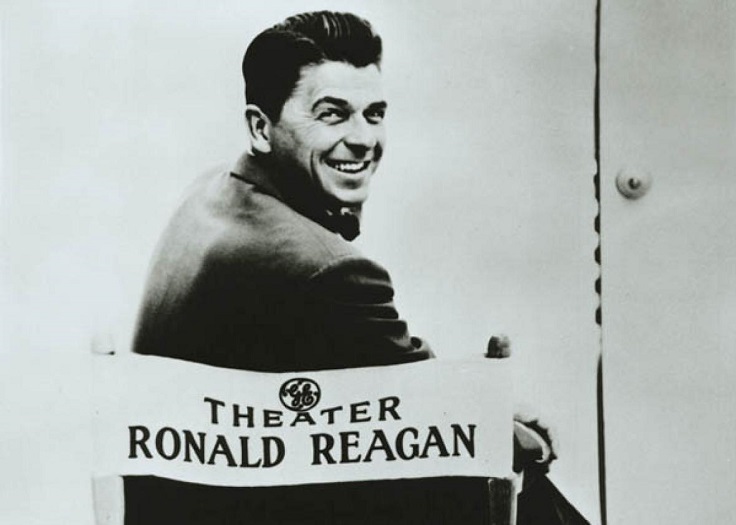 Before getting into politics, Ronald Reagan was almost a big Hollywood star! His acting career lasted for more than 25 years during which Reagan appears in more 50 films. First he only had role in “B unit” movies, but his talent was easily recognizable, as he started acting with some of the biggest Hollywood stars, such as Humphrey Bogart and Bette Davis. However, shortly after Reagan’s big screen biggest success, he was ordered to active duty with the U.S. Army and he never managed to make big money out of his acting career, but moved to politics where he really made himself a name!